I just watched the film “The Politics of Caring” featured on the nursemanifest.com website and oh, does it make some powerful statements about politics in nursing that are still relevant today! A core messages in the film is the importance of improving hospital working conditions, both for the nurses, and for the safety and health of patients. Growing out of my involvement in the NurseManifest Project, much of my current work directly focuses on research about the nursing work environment, including nurse staffing and management practices. One of the defining moments of my nursing education was learning about the concept of “Upstream Thinking” in my senior year Community & Public Health Nursing course. We learned about John Snow’s classic work on the London Cholera epidemic of 1854 and read Patricia Butterfield’s seminal “Thinking Upstream” article (Adv Nurs Sci 1990;12(2):1-8) that challenged nurses to think beyond one-to-one caring relationships and embrace the social, environmental and political determinants of health. This was reinforced the following year in my graduate nursing theory course, with the addition of Butterfield’s then new paper, “Upstream Reflections on Environmental Health” (Adv Nurs Sci 2002;25(1):32-49). While nursing education programs are working to integrate new content in (epi)genetics, (epi)genomics and environmental health it is more important than ever to emphasize the interconnectedness (or integrality) of human beings (including nurses!) and the environment. The macro-level and micro-level ways that human beings, including nurses, are interconnected with their environment and each other will be the main focus of a free webinar/seminar that I’m giving next week and hope you will be able to attend. 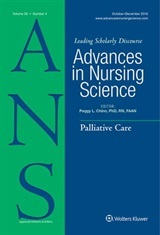 The presentation is titled Redefining the Metalanguage of Nursing Science: Contemporary Underpinnings for Innovation in Research, Education and Practice and will be on Wednesday, Feb 8, 2012 (12-1:30 EST) at the University of Pennsylvania, Barbara Bates Center for the Study of Nursing History. 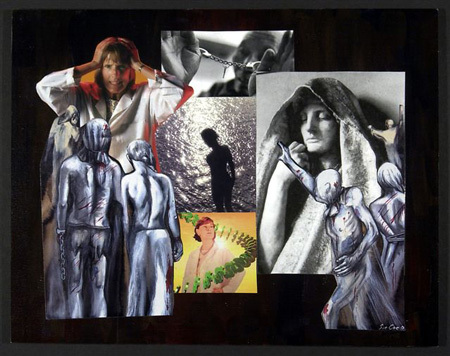 This presentation will utilize images and narrative to explore the ideas presented in my new paper, The Integrality of Situated Caring in Nursing and the Environment, currently featured on the Advances in Nursing Science website.